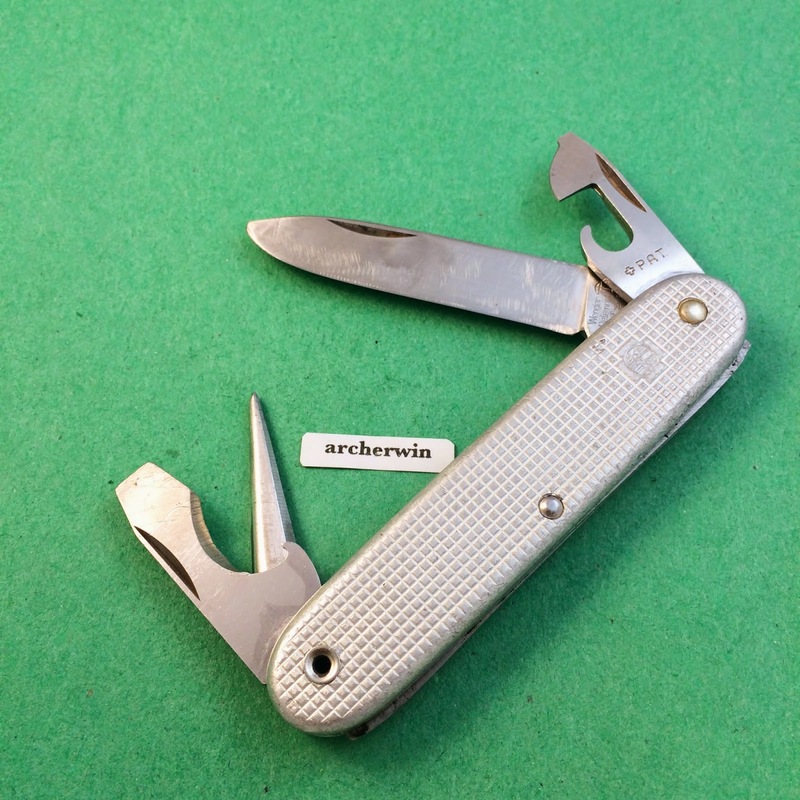 Here's another Wenger SI knife I got. 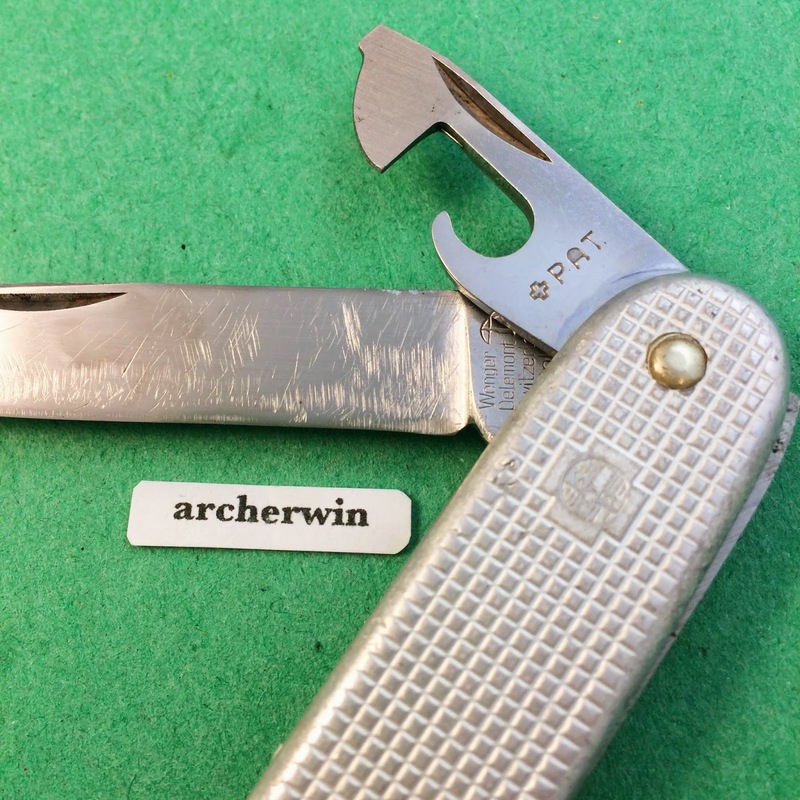 It's from 1966, the main blade has seen better days. 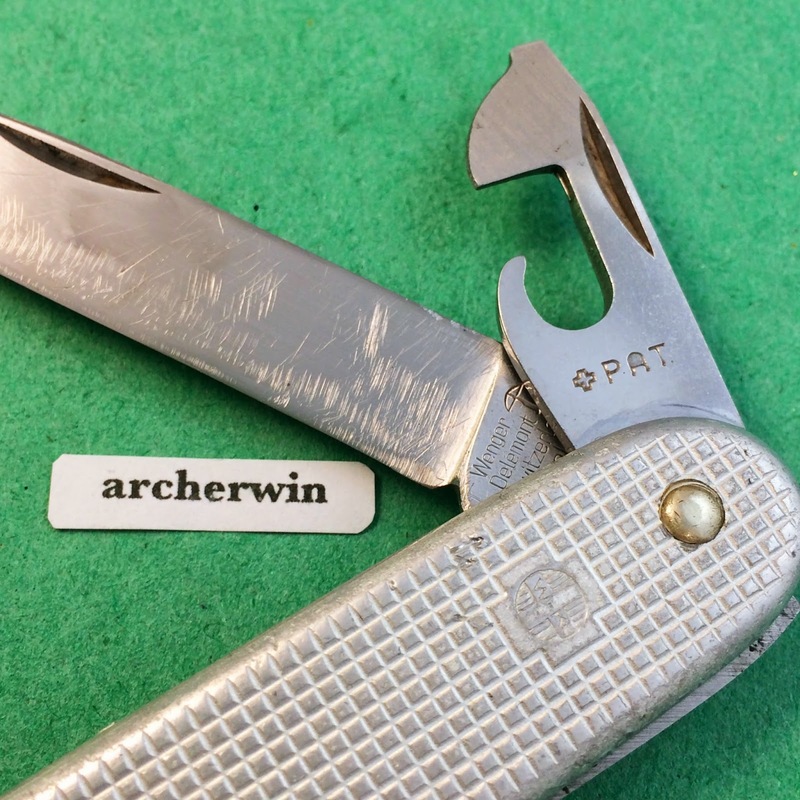 I've tried to rescue it a bit but since I don't own a belt sander plus I don't want to ruin it further, I just tried to preserve the "used" look. 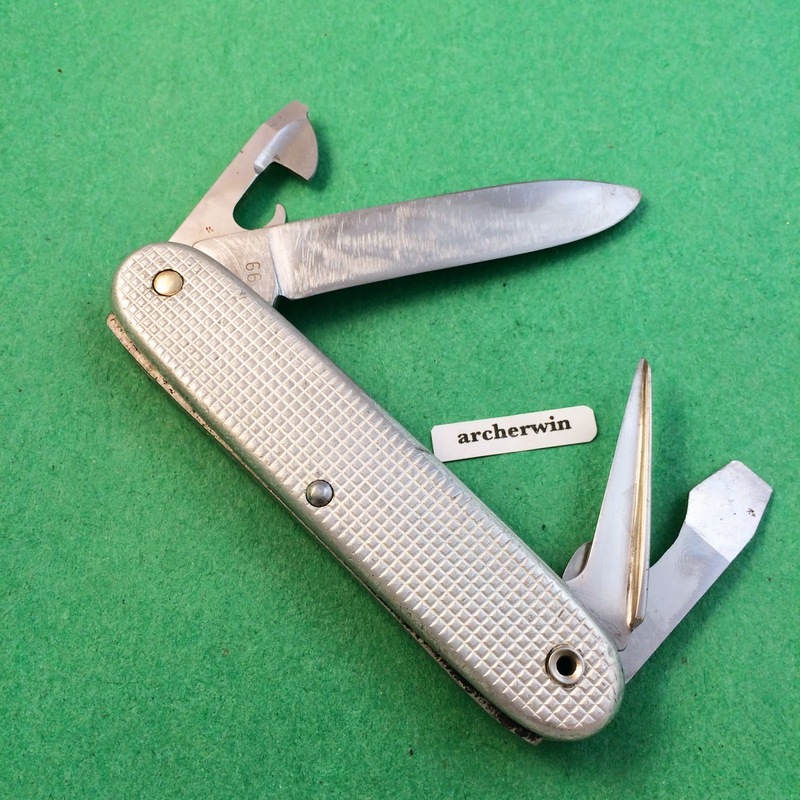 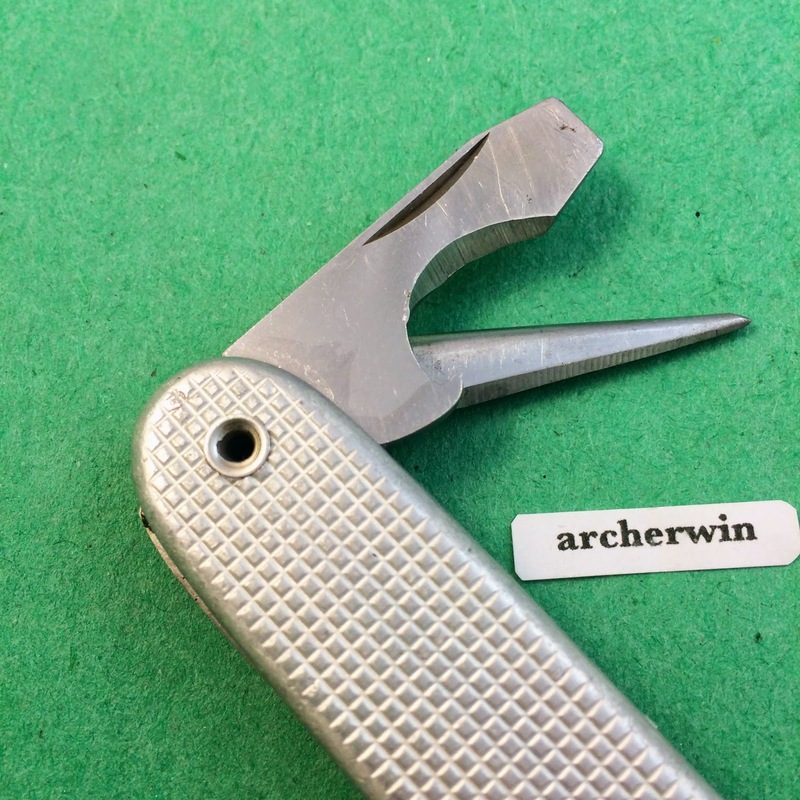 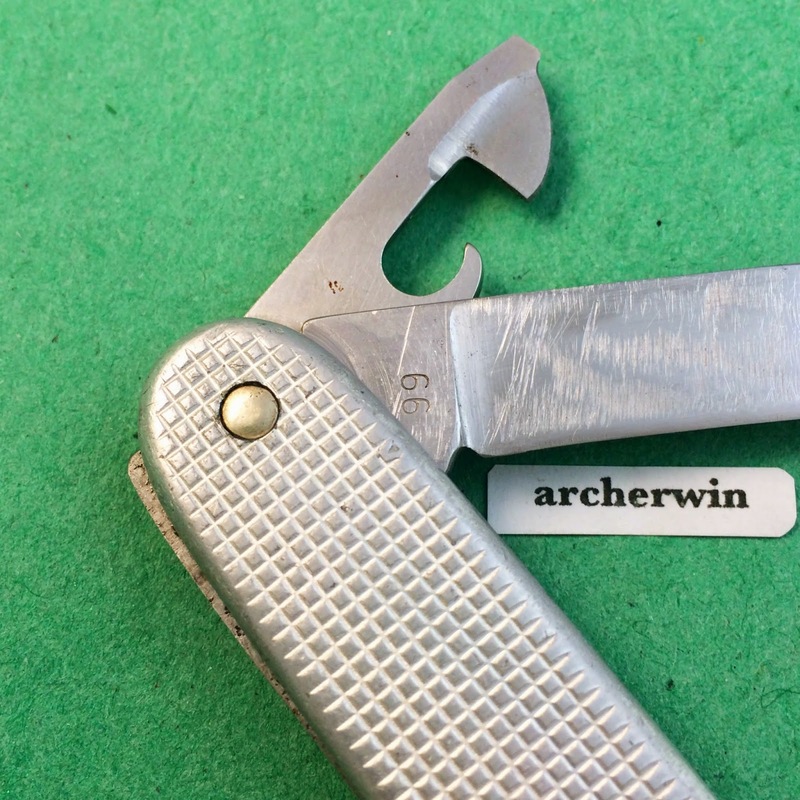 After the debacle of using red anodized scales which quickly wore out during field use, Wenger and Victorinox decided to change back to the normal silver anodized scales for the SI/Soldier model after 1964 although there were some Soldier models in 1965, 1970 and 1975 that had red alox scales together with the silver ones.